Comment: I have a child's swing set/slide already broken down and needing to be taken away, plus may have some household "junk": small broken furniture items, lamps and shades, shelving, etc. Dumpster Contents:: Trash, carpeting, Etc. Comment: Need an insured vendor that is able to come on site and clean up trash from a field on site. Comment: Things left behind by a tenant. Garbage, furniture etc. Comment: Pile of cut tree limbs need to be removed from along the side of the house. Comment: I would like to get an estimate for removing pile of tree limbs. 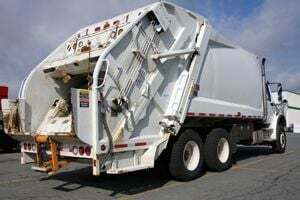 X/S Waste Transport , Inc.
York Waste & Garbage Removal Services are rated 4.57 out of 5 based on 367 reviews of 11 pros. Not Looking for Waste Material Removal Contractors in York, PA?